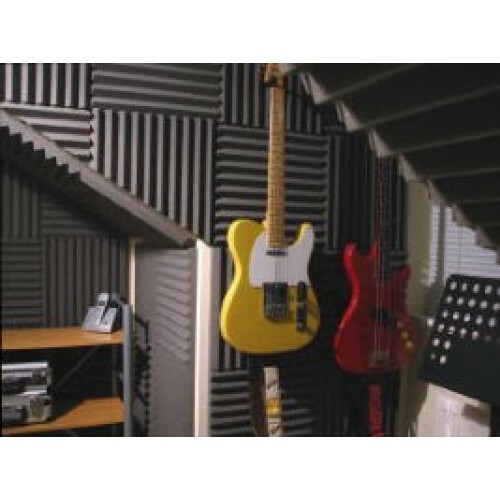 Sound absorbing Wedge profiled foam ideal for walls and ceilings in studios to obtain better acoustics within the room. Size: 381mm or 762mm square panels and in either 40 or 73mm thick. Grey in colour. An inexpensive method of controlling the acoustics of a studio. Wedge profiled type sound absorbing acoustic tiles are a popular method of controlling reverberation within studios and music practice rooms. They have a surface that resembles a line of triangular wedges or pitched roofs, hence their name and are an inexpensive method of controlling the acoustics of any studio. The uneven surface of these wedge profiled tiles enable them to absorb a greater range of frequencies and sound waves and the thicker the tiles the more efficiently they will absorb lower frequencies. This is why we offer the wedge tiles in a choice of two thicknesses of 40mm for normal frequencies and 73mm for those lower frequencies. 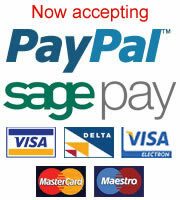 762mm square tiles are sold with 6 tiles per pack or the 381mm square tiles are sold in packs of 24 tiles. For best results a mix of thicknesses should be installed. 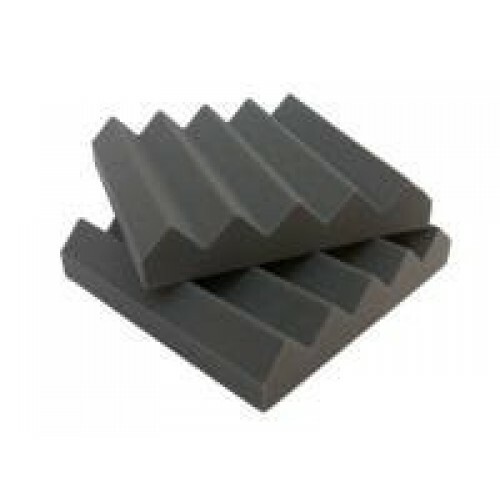 Wedge type acoustic foam tiles can be easily fixed with our special aerosol adhesive and are available in any colour you want as long as it is grey and are flame resistant to furnishing standards.